This power drink definitely deserves an own blog post. I never discovered anything as healthy as green smoothies. I often hear people saying to make green smoothies takes too much time and preparation and that’s why they tend to pass on them. My best tip is to wash the vegetables the night before and store them already portion sized so that you only have to throw them into the blender the next morning. I realized that I have less sweet cravings throughout the day when I had a green smoothie in the morning. The green smoothie covers so many minerals and vitamins our body needs and therefore leaves us very satisfied and controls our sweet tooth. Greens like Kale, Cabbage, Parsley and Spinach are high in Iron, Vitamin B, Magnesium, Zinc and other beneficial vitamins that are essential for having a glowing skin and a healthy gut. 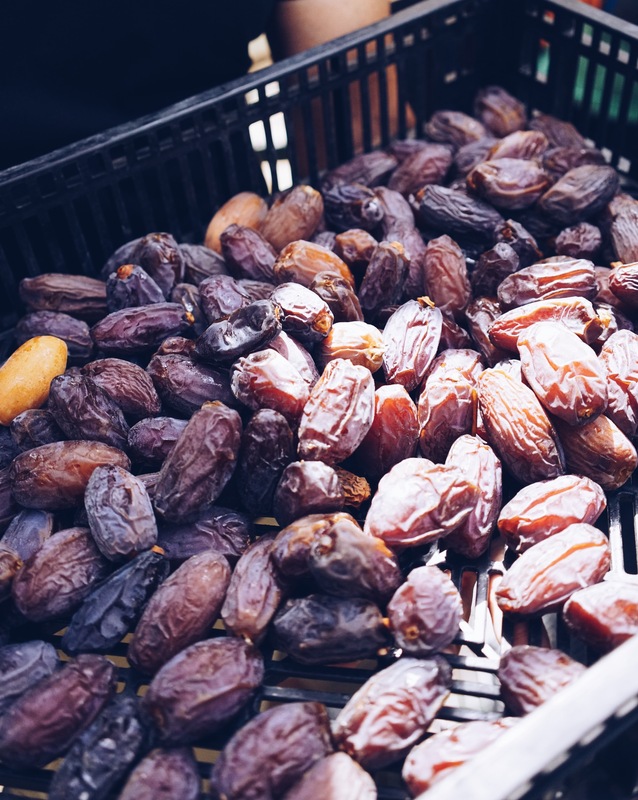 Magnesium and Vitamin B are essential to maintain strong muscles and zinc has an anti-inflammatory effect on our skin. A smoothie still contains all the fiber because you use the whole fruits and vegetables, compared to juices where the fruits and vegetables are extracted. The high fiber and water content leaves you full and satisfied. That’s why a big smoothie can easily replace a meal. 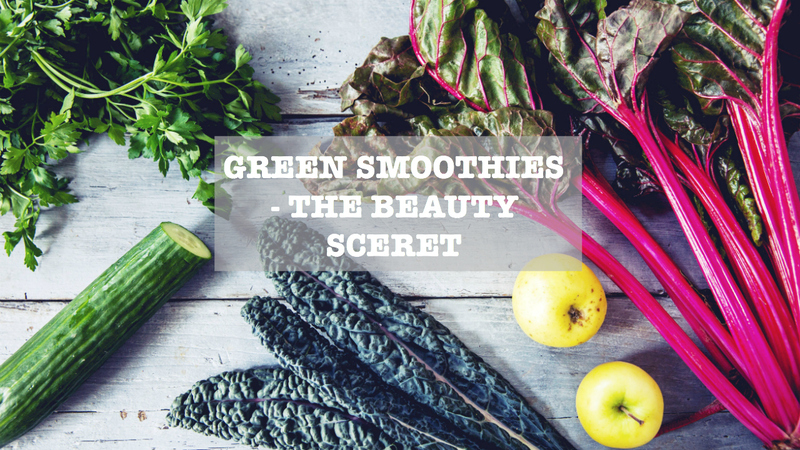 Green Smoothies are the best thing you can do for your skin. The leafy greens provide us with all the nutrients our skin needs and leaves our skin hydrated and well nourished. The large amount of antioxidants is great to fight free radicals which can damage our skin. 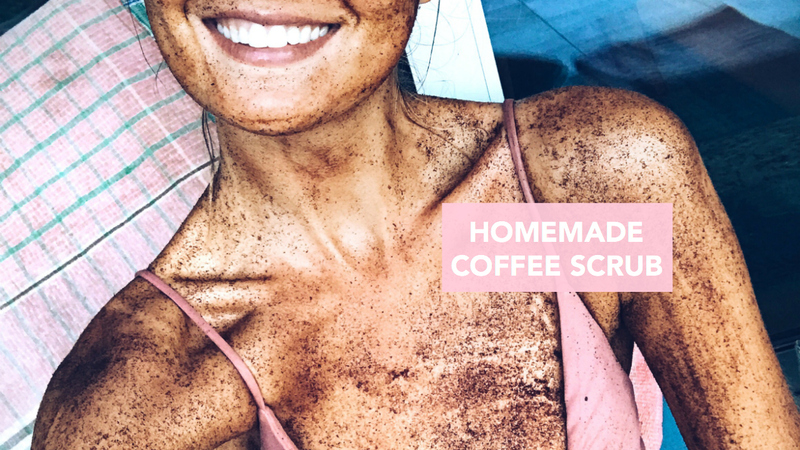 I always had skin problems when I was younger and I saw such a big improvement in my skin since I started to drink green smoothies regularly. 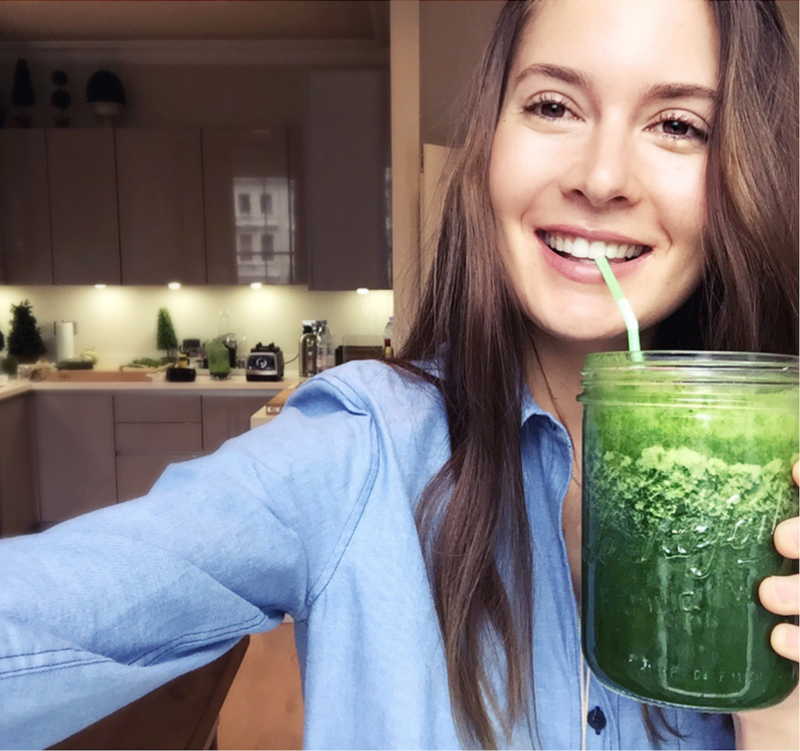 J Definitely make a green smoothie your new best friend if you suffer from having bad skin. Everyone finds it hard sometimes to eat enough vegetables. I think it is so important to have a balanced diet and not to only focus on having the same foods all the time. Green smoothies are the such an easy way to ‘eat’ your veggies and still enjoy a wonderful taste. Dark leafy greens like kale, spinach and swiss chard are all amazing protein sources. The essential amino acids are provided in the perfect ratio, that means our body can easily absorb it and transfer it into our cells. That’s why a green smoothie also makes the perfect post workout shake. Caroline, do you recommend the green smoothie over a mono meal? Thanks! I’m in love with your blog! thank you so much! :-) So glad to hear that you feel inspired. I would not replace a meal with a green smoothie because its not that filling. However, If you dont feel super hungry in the morning you can totally have a green smoothie for breakfast and maybe a fruit snack an hour later. :-)) Hope that helps!